December has come and gone in a flash! Too fast honestly, and look it's already 2015 :O Alot has happened in December. Like a whole lot. Though there have been moments or even days where I'm just annoyed/upset or too stressed, the good parts of December outweigh all that. Am I upset and affected? Yes. But the fact is, we'll all go through times like that. I'm just glad that the month was made better in other ways! Afterall, I wouldn't have wanted to end off the year on a negative note. December saw Kaitlin going for her first holiday class, having her year-end performance, and bringing the bub out with me for blog matters. We also did Christmas activities! I wish I brought babygirl out a little more to have more Christmas fun, so I think that's what I wanna focus on next Christmas! December was also busy month spent shopping around for presents for loved ones and catching up with them. I mean like I spent two weeks going around the same malls and I'm still wasn't done -.- I guess I'm just indecisive, and particular like that. I mean how I can I not be when these people matter a whole lot to me. 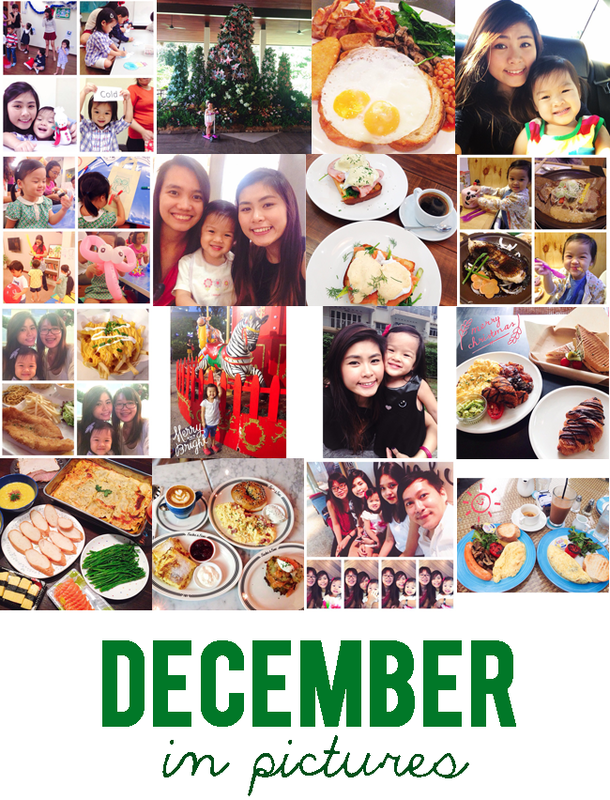 And of course, the best part of December was being able to catch up with friends! Everyone's been so busy that I'm so glad that December actually exists so that we actually have time to meet and catch up. Maybe it's age or with looking back on how far these friendships have lasted, and all the times we shared that makes me treasure these important people in my life even more. Besides the moments that made me upset and wished they never happened, December has been nothing short of a month filled with fun, spontaneity and love. It was a month of taking chances (some I normally and wouldn't have thought of taking), and living life as not just a mom to Kaitlin, but the life of an individual as well. The lack of sleep and all that busying around has definitely made me feel very tired and drained out, but I couldn't be any happier and thankful.